Two financial services firms share their real-world experiences using LinkedIn, and best practices for success. Though the financial services industry often seems to be one of the last to adopt new ways of doing business, there’s no doubt that social selling is now par for the course. As financial services firms try to work themselves into the consumer decision journey online, they are finding it necessary – and wise – to incorporate social media into the mix. This allows them to engage investors at crucial times in the investment decision-making process. The question is: what are the most effective ways for doing so in a highly regulated industry? A growing number of financial services firms are taking advantage of social platforms such as LinkedIn and reaping the rewards of social selling in the form of boosting trust with prospective clients and driving more business. This post highlights the real-world experiences of two financial services firms using LinkedIn, and outlines best practices for success. As a wholesaler, Nolan Financial focuses on non-qualified deferred compensation for executives. It complements its traditional sales model of educating financial advisors via webinars and in-person meetings on its products and services with the use of LinkedIn Sales Navigator. This sales tool provides lead recommendations tailored to the user. 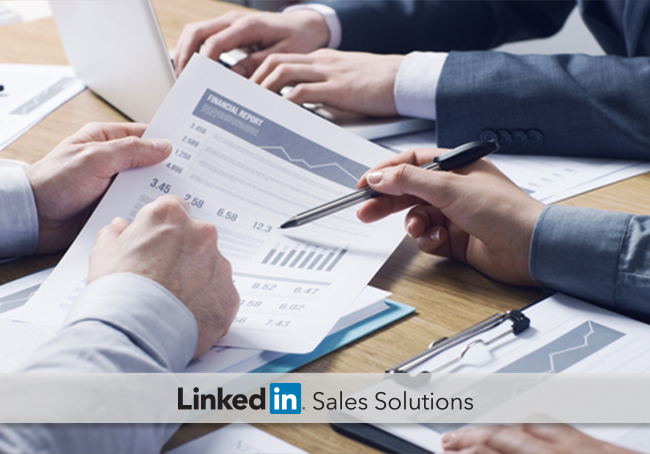 Through LinkedIn and Sales Navigator, the company’s sales professionals identify the executives they want to meet within the companies they want to do business with. Using Sales Navigator, they then explore their LinkedIn connections to see if they can point financial advisors and insurance producers in the direction of a prospective lead. By creating new opportunities and appointments this way, Nolan Financial has seen a bigger and higher-quality lead pipeline. Wells Fargo Treasury Management’s salespeople – called Treasury Management Sales Consultants (TMSCs) – are road warriors. One TMSC, who had been pursuing a certain prospect for some time, got an alert via Sales Navigator that this company was adding nine new locations in Texas and Minnesota. The alert pointed to an article that gave the exact addresses of these new locations. After determining that Wells Fargo had a branch within one to two miles of each new location, the TMSC presented a strategic and customized approach – ultimately winning the business. The company also moved over all of their existing 22 locations to Wells Fargo from one of their main competitors. This is one of several deals for Wells Fargo, which was sourced through social selling insights. Check in soon for our next post on social selling. Meantime download our eBook, Financial Services: Social Media Success in the Real World for more guidance on how leading firms have driven adoption, changed behavior, and improved performance.